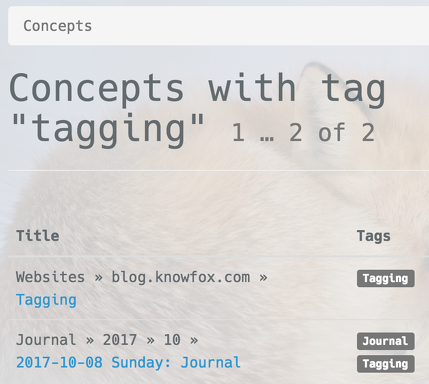 Besides hierarchies, Knowfox also has tagging for concepts. This article gives an overview. Knowfox most prominent feature is the hierarchical arrangement of the concepts it manages. But sometimes hierarchy is not enough. Enter tagging. Desktop operating systems have only recently started to add tagging to their vocabulary. But on the web, tagging was one of the foundations of the Web 2.0. Sites like Delicious allowed users to manage their bookmarks online and independent from each other. Where older sites like the Mozilla directory tried to press all websites into a finely tuned, single hierarchy of concepts, Delicious just let its users go wild with their tags. 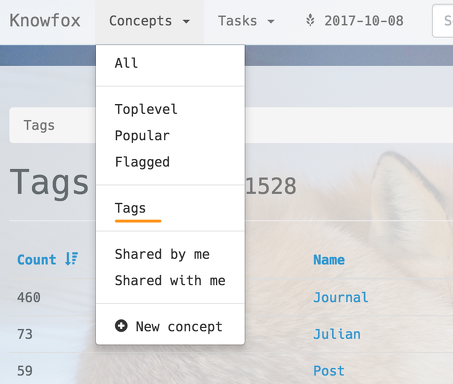 These tags appear as label in the header of the concept and are clickable. When you click on a tag, a list of concepts tagged with this tag is shown. 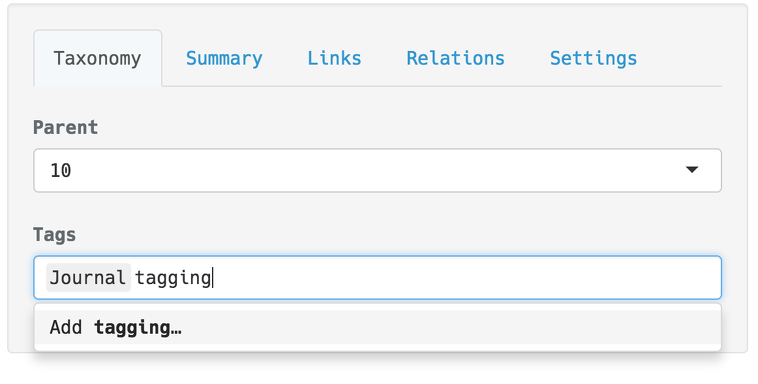 To more easily discover tags, there is also a list of all tags. You can sort this list by count and by name by clicking on the table headings.